ISLAMABAD (92 News) – Adviser to Prime Minister on Foreign Affairs Sartaj Aziz has on Friday said that the world has soft power and hard power and Pakistan can solve its issues by using soft power. 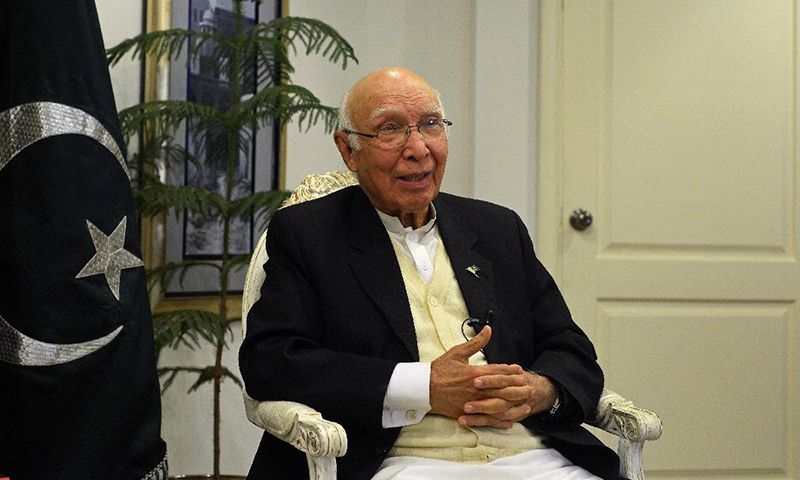 Addressing a seminar of Pakistan’s Soft Power in Islamabad on Friday, Sartaj Aziz said that the Government is taking effective measures to promote soft power. He stressed the need for building a soft image of Pakistan to for bilateral and multilateral relations. He said it is the shared responsibility of the Government and civil society to ensure implementation of soft power of Pakistan. Aziz said that Pakistan is now moving to energize and reinvigorate its image and implementing its soft power for maximum benefits.